Kenichi Endo is cast in new WOWOW drama series “Kenichi Endo to Kankuro Kudo no Benkyo Sasete Itadakimasu.” The drama series is scripted by Kankuro Kudo. 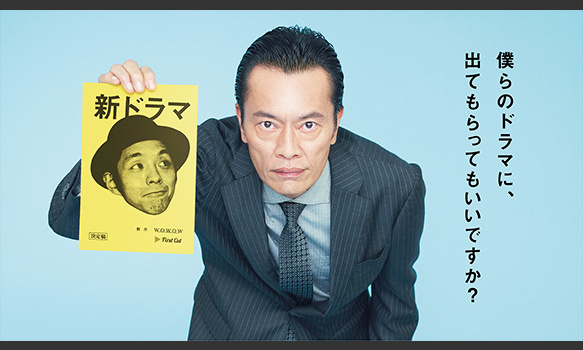 In the drama series, Kenichi Endo will play himself. He performs in a suspense drama series as Detective Moroi. In addition, a teaser trailer for the drama series has been added on AsianWiki. “Kenichi Endo to Kankuro Kudo no Benkyo Sasete Itadakimasu” first airs November 12, 2018 in Japan.